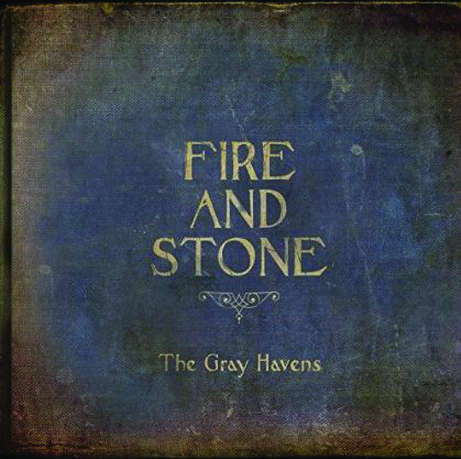 The Gray Havens, a husband and wife duo from Crystal Lake, Illinois, released their first full-length album, “Fire and Stone,” on Jan. 6. The duo, Dave and Licia Radford, wrote 10 songs all centered on the theme of the inheritance of the far kingdom of heaven. The couple is known for their distinct sound among other mainstream Christian musicians. The narrative-pop-folk album includes a variety of moods; it is lamenting and sorrowful, but it also has joyful and hope-filled songs. The couple created a story behind each song on “Fire and Stone.” The song “Far Kingdom” is lyrically captivating and has a peaceful melody. The song describes a far kingdom as heaven with a glass wall and faint light. In this place that resembles heaven, they say there is a river ever-clear and a fountain that overflows in the light of the kingdom. “Far Kingdom” lyrically describes the joy in longing for heaven until Christians get there. The idea behind the song is that a Christian’s capacity for joy in heaven is always full and always expanding. Apart from the joyful songs, “Far Kingdom” and “Stole My Fame,” the song “Sirens” creates a mournful mood. The song is about following a heartbreak because of the sound of sirens. The song uses the Greek mythical story of the sirens to illustrate a metaphor of sin. The sirens in the ocean are beautiful creatures that may attract one closer to them with their beauty and voices; however, the closer one approaches, the more danger he or she is in. The sirens in the song are used to represent sin and the song explains that the heart was once full that sang of grace and has now been corrupted by the sirens in the ocean. Although the album only consists of 10 tracks, almost each track has a different mood. The Gray Havens incorporated various emotions in this album that range from upbeat and joyful to something more on the dark side. “Fire and Stone” is worth listening to with sounds not often found in other Christian albums. The album can be purchased on iTunes for $11.99. For more information visit www.thegrayhavensmusic.com.